The credit scoring system looks favorably on variety, and as we saw on the pie chart, “credit mix” weighs in at 10 percent. 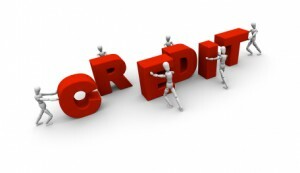 Your score will be marginally higher if you have more than one type of credit. What do I mean by “type”? Well, one basic type is the installment loan, which is a loan on which the amount owed is fixed at the beginning of the loan, and fixed monthly payments consisting of principal and interest (installments) are required over the life of the contract. This type of loan comes in two flavors: secured and unsecured (signature). 1. A secured installment loan involves collateral—something that you agree the lender will have the right to take away from you and sell if you fail to pay the loan as agreed. The most common examples are car loans and real estate home mortgage loans. 2. An unsecured loan does not involve any collateral. In essence, the lender agrees to make the loan on the strength of your signature (thus the name, “signature” loan). A good example of an unsecured loan is a student loan. Whether they are secured or not, installment loans have a predetermined life span. If you make your payments on time over the life of the loan, the contract is paid off and the account relationship ends. For example, if you finance your car for five years and at the end of the period you pay off the note, you own the car free and clear and the account is closed. The other basic type of personal credit is the revolving account. Credit cards fall into this basket, along with various kinds of store charge cards. The amount of the outstanding balance is NOT fixed at the beginning of the contract, and neither is the amount of the monthly payment that will be due. You can borrow, pay back, borrow some more, pay back, and on and on. This can go on indefinitely, month after month and year after year. That’s why it’s called a “revolving” account. Finally, there is a common loan type that is a kind of hybrid—a combination of both an installment loan and a revolving credit account. What I’m talking about here is the home equity loan. It has features of both basic types. With most home equity loans, you can borrow, pay back and borrow some more (just as with a credit card), but it is secured by your home just like a normal real estate mortgage. If you don’t pay, the bank can foreclose on your house (very unlike a credit card). • Try to have some installment loans, but not too many. Probably two or three is best from a credit scoring perspective. Probably at least one of them should be secured. • If you don’t have any installment loans at all, consider simply borrowing some money from your bank on a signature note (say, $5,000), and deposit all of that money in an interest-bearing account at that same bank. Leave it there and don’t touch it. Arrange to have the monthly payments on your new loan paid automatically from your new deposit account. To some extent the interest on the deposit account will offset the interest on the loan, and in the end the loan will only cost you a few dollars. Your score will benefit because you will have paid back a secured installment loan—always a good fact to have in your credit file. • If you don’t want to put the loan proceeds in a bank account, you can still establish a secured installment loan. If you own something of substantial value (maybe a car that you intend to drive for awhile and that you own free and clear), then offer it as collateral on your new loan. Make the term short, pay it off as agreed, and help out your credit score. • Have at least three revolving accounts, in addition to your installment loans, and don’t limit yourself to local or regional store charge cards. Accounts with national companies, like American Express, VISA and MasterCard, will improve your score more than accounts with local merchants. Remember look out for next week’s blog on “What You Can Do to Improve Your Credit, Starting Now”, Step 5—Minimize New Credit.